St. Charles Avenue is pleased to host its 5th annual “Wine, Dine & Design” tablescapes event, which features 25 extravagantly decorated tables created from the ground up by local retailers and designers. From linens and chair backs, to glassware and cutlery, each table will be a unique and elaborate work of art. 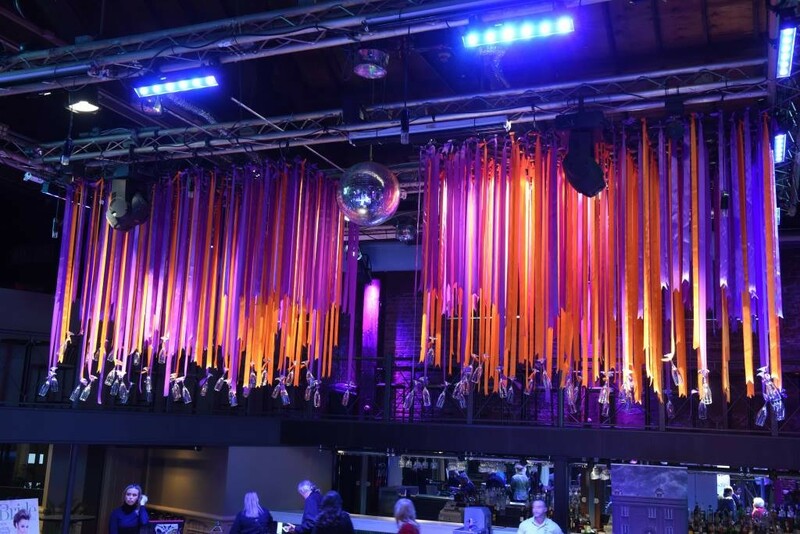 Proceeds from both the preview party and luncheon will benefit Bastion, a veterans housing development, an organization that is an intentionally designed neighborhood in New Orleans for returning warriors with lifelong rehabilitative needs and their families. 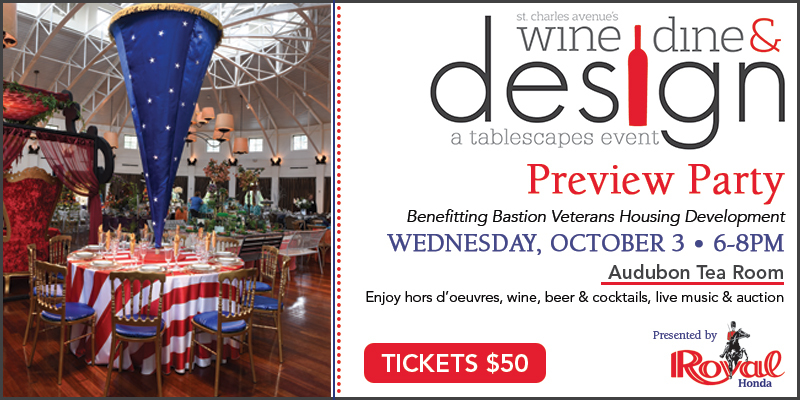 Help us to support Bastion by purchasing a ticket to Wine, Dine & Design. Get a sneak peek of our 25 elaborately decorated tablescapes while enjoying wine, beer and cocktails and hors d’oeuvres courtesy of Audubon Tea Room. The event also features live music and a live auction. Dine at one of our 25 elaborately decorated tablescapes while enjoying passed hors d’oeuvres, a fabulous lunch and wine courtesy of Audubon Tea Room. The event also features a live auction. Call Abbie at 504.830.7264 to reserve luncheon seats – Seating is limited!